No longer just a book repository, public libraries are becoming more. 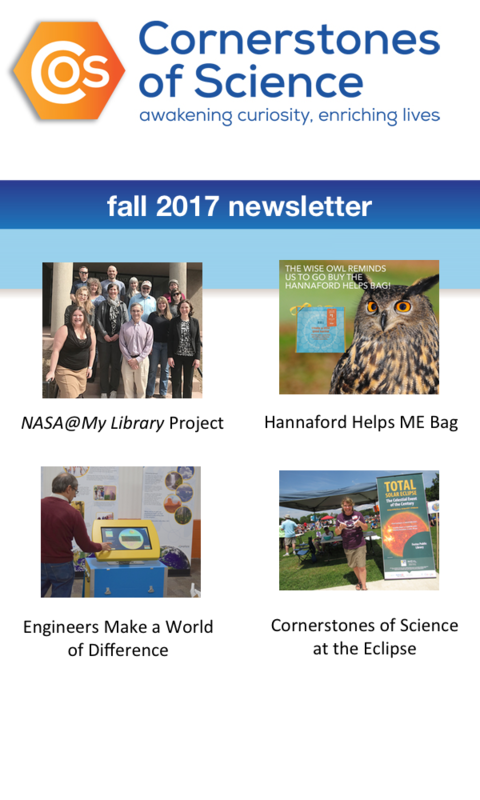 For many years now, the Maine State Library (MSL) and Brunswick-based nonprofit Cornerstones of Science have worked together to assist local libraries in Maine at staying relevant in their communities by including science, technology, engineering, and math (STEM) into programming and daily operations. These efforts have proved successful and now the MSL and Cornerstones are about to fully explore the model and invest energy in its replication to other states. The Institute of Museum and Library Services awarded the Maine State Library and Cornerstones of Science a $500,000 National Leadership Grant to support the development of this emerging vision of public libraries as community science centers. The project draws upon six state library agencies, science-based companies, public libraries, the formal and informal science communities’ expertise and a commitment from matching fund partners of over $600,000 to put the final value of the grant at just over $1,100,000. The project, “Empowering Public Libraries to be Science Resource Centers for their Communities,” will help the State Library Agencies, of Maine and Massachusetts, develop the tools that empower public libraries to build and sustain effective informal science programming and services that connect their patrons and communities to science and technology learning, equipment (e.g. telescopes, microscopes and science kits), books, media and people in the scientific community.